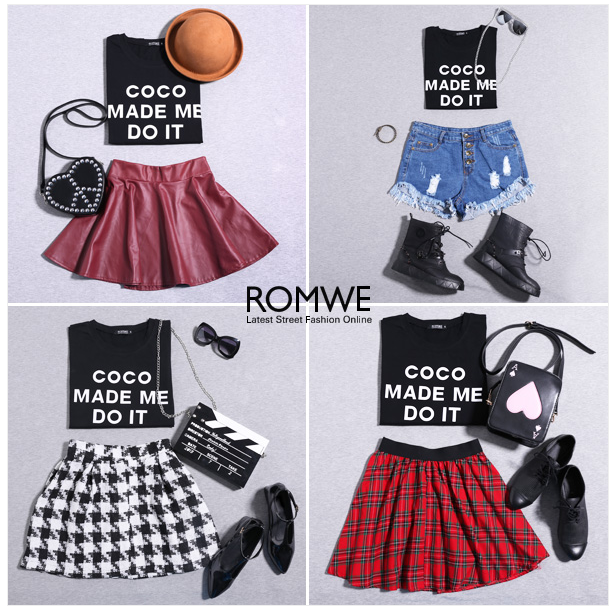 Giveaway: Romwe's COCO MADE ME DO IT! OPEN WORLDWIDE! Have you ever discover the COCO MADE ME DO IT black T-shirt from Romwe? Do you love it? ONE LUCKY WINNER will be picked 5 days later. Read more below. The unique letters on this simple tee is so eye catching. Cool, wild, classic, casual. You can rock your style in it. Also, it’s incredibly versatile and can be dressed up or down. It goes well with not only your denim shorts or pants, but also your skirts, leggings, etc. Just as Coco Chanel said “Women think of all colors except the absence of color. I have said that black has it all." Go to school or parties, hang out with friends or shopping, it will surely make you stand out. For a limited time – it goes on a $9.99 SALE, starting at 1am of 13th March GMT. 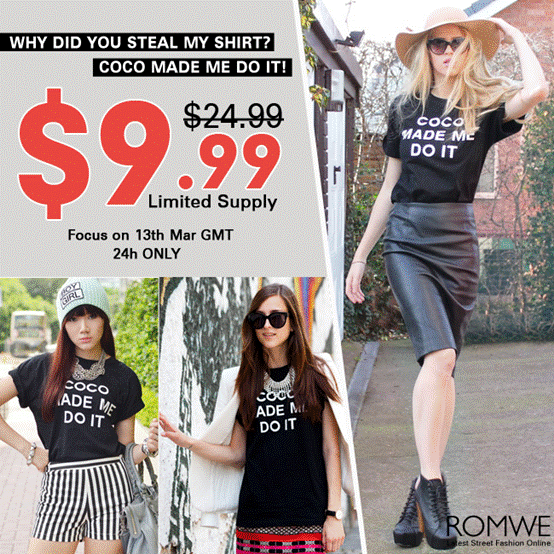 Romwe is holding a GIVEAWAY for this COCO MADE ME DO IT Black T-Shirt! The mechanics is in the Rafflecopter widget. By the way, just comment on the link like the one shown below. joined and done all the steps! good luck to all that joined the contest. it is really a funky looking shirt. This shirt is really awesome and I would love to win it! I'll pass this time. Thanks for the offer though, it look nice I'm sure lots of people will go for it.